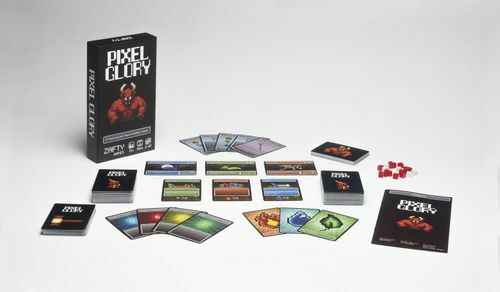 The bit pixel games are invading the Boardgaming art arena! from the classic and now vintage videogames and arcades, comes this type of style that brings more fun and some feelings from the old times! Let´s make a Geeklist about this games from different genres that have 8bit or 16 bit pixel art! 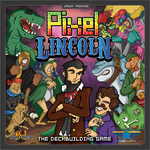 A DECKBUILIDNG game based on Abraham Lincoln comic! 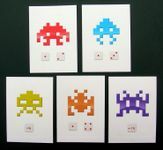 that´s awsome 8 bit art! 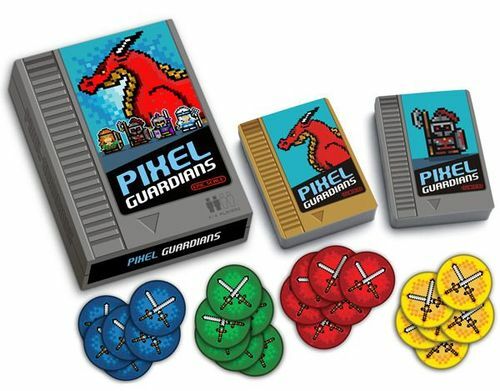 This kickstarter game and all it´s expansion and accesories bring lots of nostalgia about NES games. 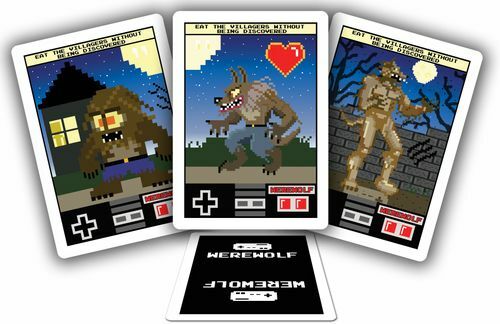 A game alike to Werewolf with a 8 bit retheme! what else do you want more? Party game about storytelling and finding who are the wolves! Get to the 100 coins and win! 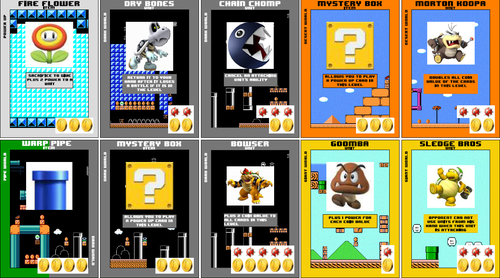 Based on most Super Mario Bros. art! 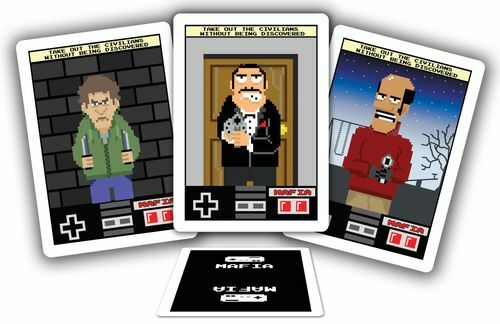 Players play cards in groups of 3 cards to create levels, and may add more later on. 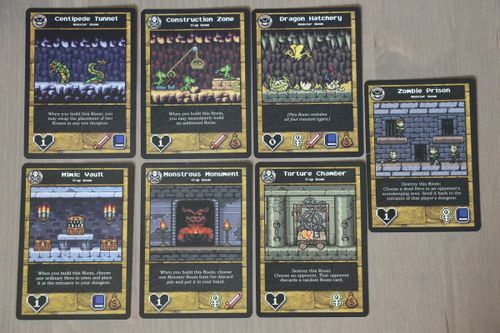 Each card has a coin values. The first player who reaches 100 coins wins the game. 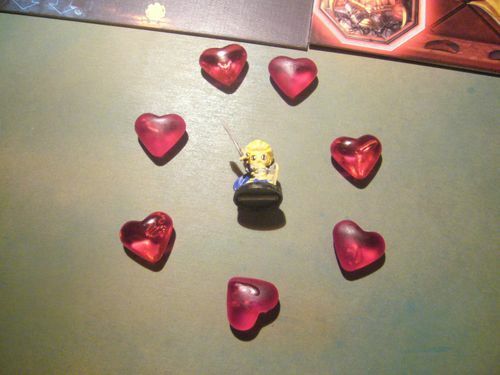 Each turn players may attack a level of a player with one of their units to steal one of their cards. 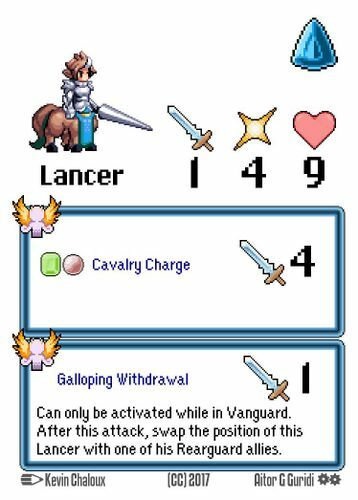 Each unit have a special ability that may affect their values during the game. 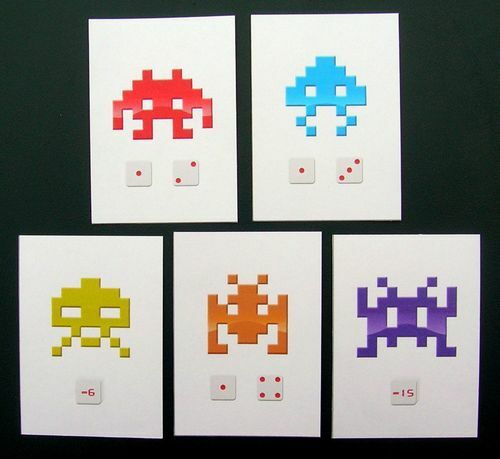 Based on the classic Atari Space Invaders videogame, comes this print and play (get it free ) Use your dice to prevent the invasion! 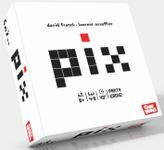 PIX provides the pixels, you provide the art! 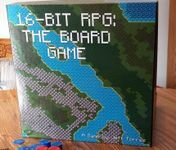 This is a game simply as monopoly with an air of Talisman (Revised 4th Edition) in a 16 bit pixel world! is fun played with old NES and SNES fans! since this is based on Dragon Quest Final Fantasy III (1990) and such games! this is the "upgrade" of Pixel Tactics that is a tactical combat for two players. 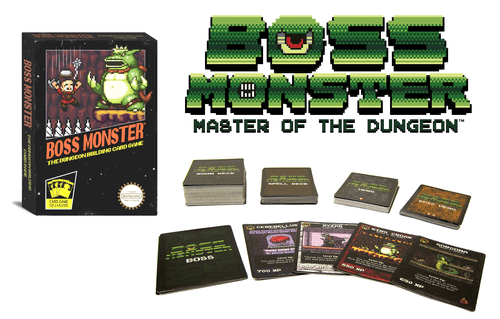 Adventure game with miniatures that goes from easy level at 8bits to super level at 16 bits! Chibi 8bit game that looks awsome! Funny that if you hit hard a monster it leaves a healthy HEART! A game of werewolf in five minutes or less? Yep! Directly from Japan, One Night Werewolf. 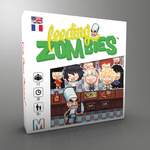 A quick little game that is a great introduction to secret character and deduction games. 8 bit load of fun! This is a simplified version of werewolf. In One Night Werewolf, there is a single night phase and a single day phase. 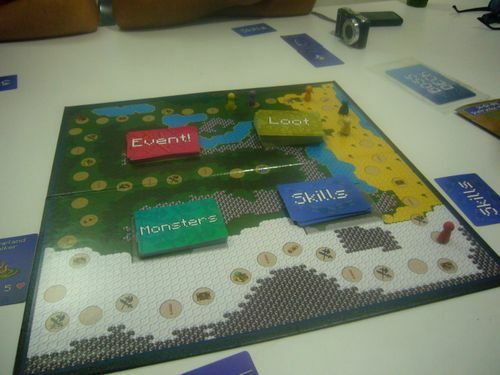 As in werewolf, players are dealt roles which are kept hidden for the duration of the game. 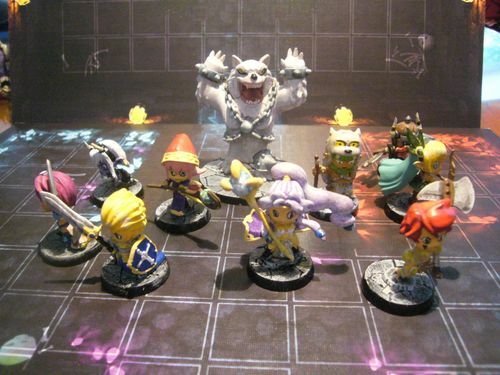 During the night phase, players who have the Sorcerer, the Werewolves, and the Phantom Thief each wake up and perform their special action for 10 seconds. During the day phase, players discuss who the werewolves are (or if there even are werewolves). Then all players vote simultaneously for a player. The player with the most votes is killed. If at least one werewolf is killed, the Human team wins. If no werewolf is killed, the Werewolf team wins. 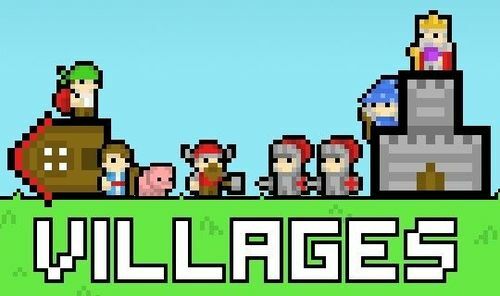 Build a village in a 8 bit world with cards until you get to 100 points and win! Hand management game in pixels! YEY! 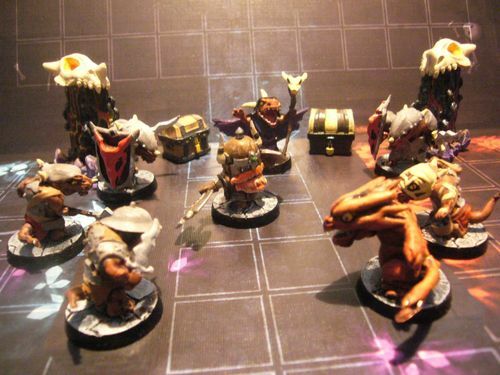 Team up with fellow wizards to vanquish the sinister monsters that lurk in the dungeon, and save the nearby village. This is a noble and honorable quest, and... oh, who are we kidding? In reality, you're a greedy wizard who is all about fame and personal gain, and your fellow wizards are cut from the same cloth! 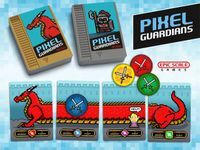 Prevail over your opponents by learning the best spells and using that knowledge to outmaneuver and kill-steal in the dungeon, so you can gain admiration of the townsfolk, fame across the realm, and achieve Pixel Glory. 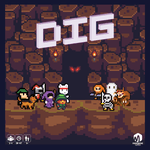 DIG finds its path between adventure, strategy, luck, and resource management. 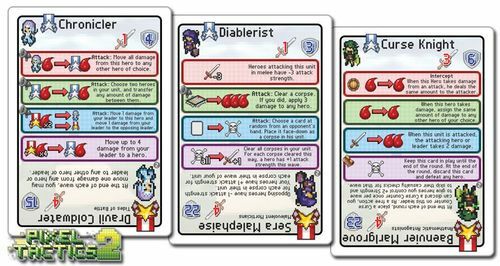 In this card-driven game for 2 to 4 players ages 10 and up, fun meets strategy, luck meets role-playing and fantasy meets pixel art design within 20 to 45 minutes. Super Voxel Raiders is a 2 player PnP cardgame that reproduces japanese role playing videogame battles (JRPGs) from the 90s. 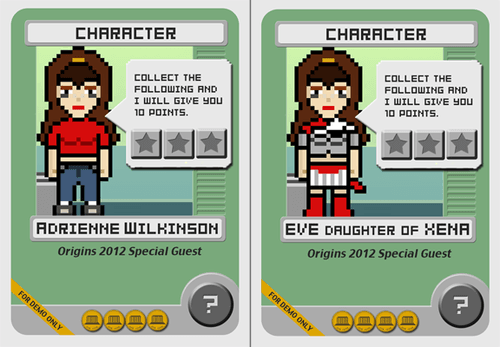 Players first recruit pixellated characters into three different territories, then a battle is fought in each of those territories, using plenty of fancy special powers. You fight for the Voxels, powerful artifacts that open the key for a new dimension. I found out about this game on the Tabletop Game Publisher's Guild on Facebook. It had a quite successful Kickstarter campaign. The designer feels it owes some of that to its eye-catching pixel art style. This is my current favorite 8-bit art style game. 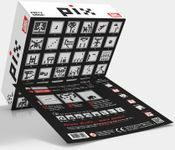 An action packed push-your-luck card game and its expansion for 2 to 4 players, ages 8 and up, and a 20 to 45min playtime. 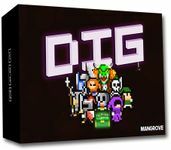 DIG and its expansion DIG: DRAGON! were designed with the following principles: simple mechanics, a mix of strategy and push-your-luck, an adventurous fantasy RPG atmosphere and a retro look from the golden age of console gaming. This project will only be funded if it reaches its €10000 goal by May 22nd 2018.